Often cited as the greatest Norman building in Europe, and recently voted the UK’s Number One Landmark by TripAdvisor users, step inside Durham Cathedral to discover breathtaking Romanesque architecture, exquisite stained glass, the Shrine of St Cuthbert and resting place of St Bede. Durham Cathedral holds three editions of Magna Carta dated 1216, 1225 and 1300. The 1216 issue – the only surviving copy – will be on display from 1 June to 31 August 2015 at Durham University’s Palace Green Library as part of ‘Magna Carta and the changing face of revolt’. 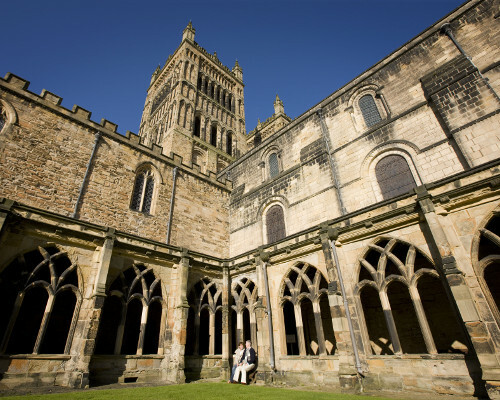 Durham Cathedral is in the midst of a capital development programme called Open Treasure which will create world class exhibition spaces to display its collections dating back to the Anglo-Saxon period.